Students will pretend to be Witch’s and Wizards and will invent a magic potion. They have strict instructions from the head witch aka Teacher, that their potion can only be 600 millilitres. They must think of 6 different ingredients to put into their potion. Unfortunately, if one of those ingredients is 100 millilitres the potion will explode. If they use more than 6 ingredients or if their ingredients don’t add to 600 millilitres the potion will also explode. A great lesson to engage students in measuring capacity. Year 3: Measure, order and compare objects using familiar metric units of length, mass and capacity (ACMMG061). Year 4: Use scaled instruments to measure and compare lengths, masses, capacities and temperatures (ACMMG084). Have Students seated in a circle. 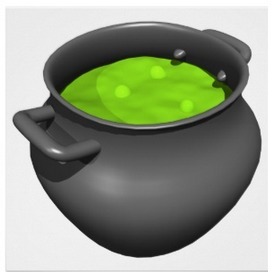 Display the witch’s cauldron image. Today we are going to be witch’s and wizards and you will need to create a magic potion. Will you be a nice witch/wizard or an evil witch/wizard? The potion you create will need to be 600 millilitres. If it is under or over 600 millilitres it will explode! How many millilitres might each ingredient be if our potion is to be 600 millilitres? Students are not to have any ingredient equalling 100 millilitres. If they do their potion will not work and will explode. 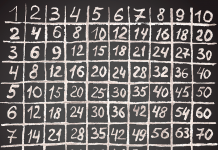 Challenge students to think of other numbers they could use to reach 600. Students will brainstorm 2 different ways to get to 600 millilitres. Share with the class to make sure they equal 600. 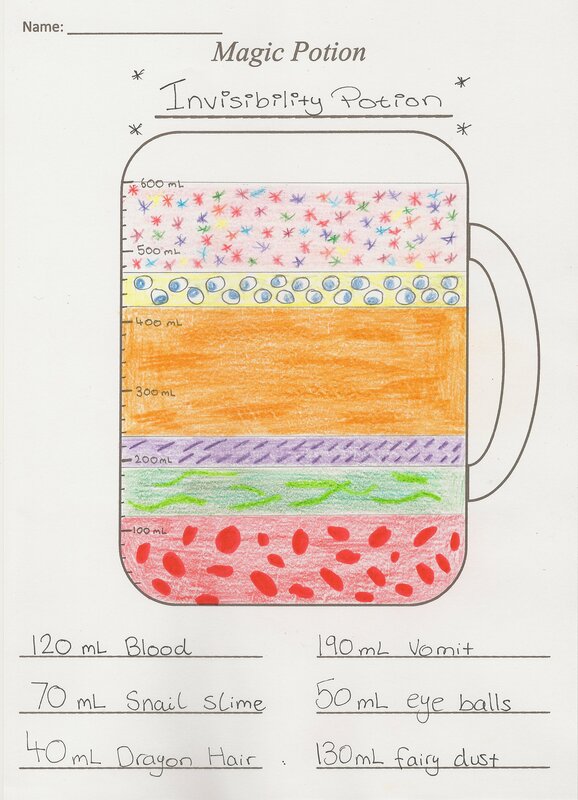 Give their potion a name, write each ingredient down the bottom and write how many millilitres each one is. They will then put each ingredient into their jug and will colour it in. Upon completion they will write a recipe for their potion. They will list ingredients, method, what happens when the potion is taken and how it can be reversed. At the end of the session, discuss methods used to calculate how much potion they had as they added the 2nd, 3rd, 4th, 5th and 6th ingredient. 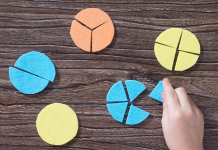 Link this to addition and subtraction as being the inverse of each other and model how we can work out what is required by taking away what we have already added in. 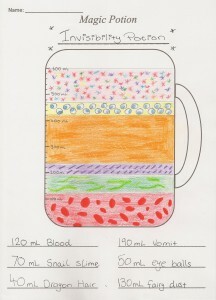 Collect students measuring jug activity sheet and recipe. Glue these onto poster card and display. Could they accurately create different ways to reach 600 millilitres? Did they draw their recipe correctly on the measuring jug? 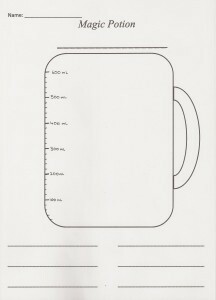 I have provided an example of the measuring jug activity worksheet. 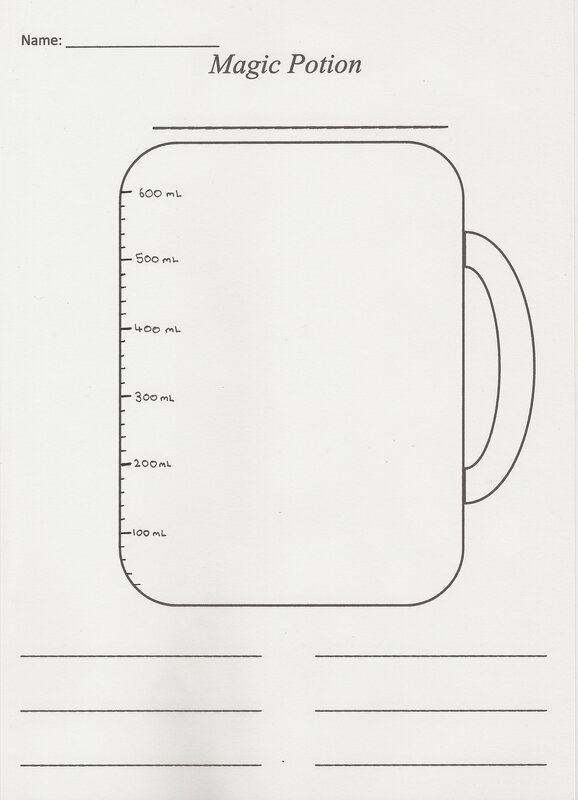 The worksheet has the measurements drawn onto the jug, but I have provided an editable version in which measurements have not been drawn onto the jug. 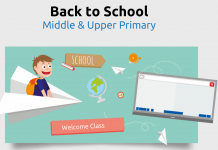 Great resource thanks so much! Trying this coming week with my class 🙂 I’m sure they’ll love it!